Rough!!! 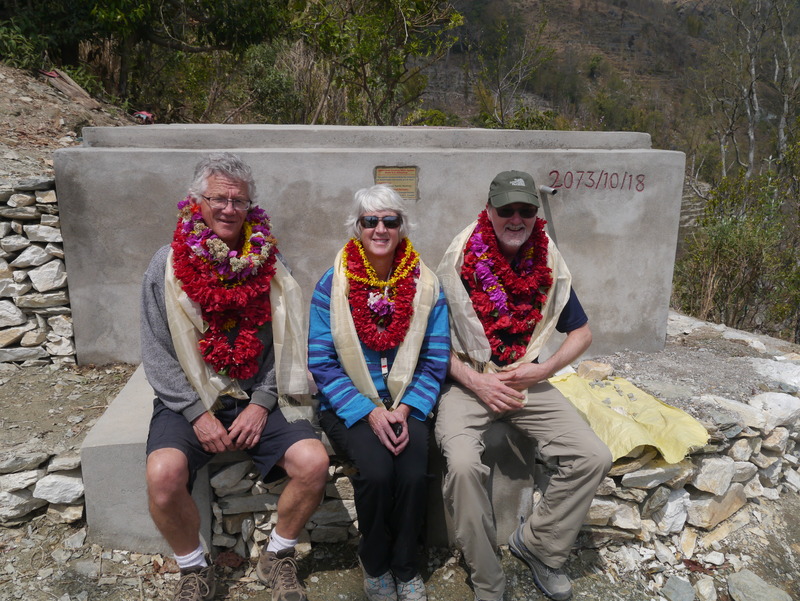 If there was a word to describe my latest trip to Ramechhap and to the communities where TSS and WNC have facilitated the installation of gravity fed water systems, ‘rough’ would be the word. Perhaps I am getting older and don’t remember how bad the roads were 3 years ago, but I am not likely to forget how bad they were this time. 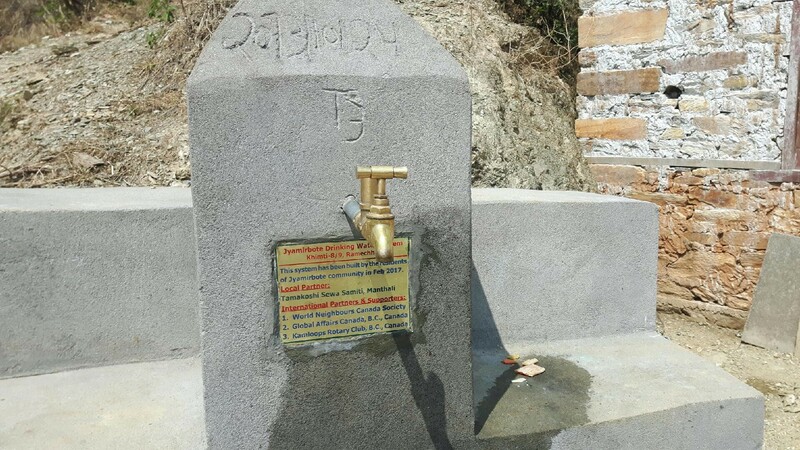 There has been a concerted effort by the government over the past 10 – 15 years to push in roads to many of the isolated communities in the mountainous regions of Ramechhap, and they have been successful in doing so. The roads are typically single lane cat tracks which zig zag up the mountain, back down the other side, and then up the next mountain. The roads are used to bring people (busses) and freight (large farm tractors with large trailers behind) back and forth. They are all unpaved. None seem to be repaired or maintained unless there is a wash out or cave in. And for small vehicles like I was in, they are all incredibly rough. Vehicles that try to go a little faster are strewn along the way with broken tie rods, broken axles, and flat tires. To go 25 kilometres typically takes at least 2 ½ – 3 hours. Jyambirebote Reservoir plaque. The second of the GAC funded systems to be installed. Luckily, the reception at the end of the road (before we have to turn around and go back out the same track…) is worth the trip. All the villagers know is that the Canadians are coming, and the Canadians were the ones who supplied the funding to purchase the pipe, the cement and the fixtures for their water system. I stress that it is ‘their’ water system, because they have done all the organizing, all the planning, all the construction, all the digging of a 1 metre deep ditch, all the setting up of a repair and maintenance fund, and all the establishing of the rules of operation. Dale Dodge, Jean Carnes, and Gordon Carnes being welcomed. But when the Canadians arrive in town, it is as if we were solely responsible for it all. We are greeted with flower leis, with speeches of thanks, with tea, with food, and with a tour of their system, which they are invariably very proud of. In Bhandaritol, the community with the most recently completed water system, I had so many leis around my neck that you could only see my eyes. And there was dancing and singing and wonderful drumming. And on the 9 member Water User Committee, of which 3 are mandated to be women, there were actually 5 women! The Water User Committee in Bhandaripol. I was accompanied on this visit by Gordon Carnes of the Aldergrove Rotary Club, and his wife and official photographer, Jean Carnes. I have been to Nepal a few times now, and start to take for granted the lovely people, the terraced hills, the colourful dress of the ladies, the good looking kids, the rice and lentils – but for Jean and Gord, it was all a first. I think they were blown away, and cannot wait to return. It was a tough, but very fun trip, and I thank them for being such good travel companions. 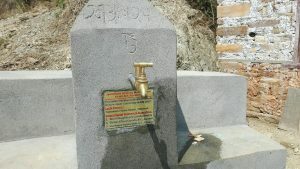 I was able to see 2 of the three water systems installed with the current Global Affairs Canada funding, and all of the systems put in over the past few years with WNC funding alone, and the one system put in exclusively by Rotary International working through Aldergrove Rotary Club. 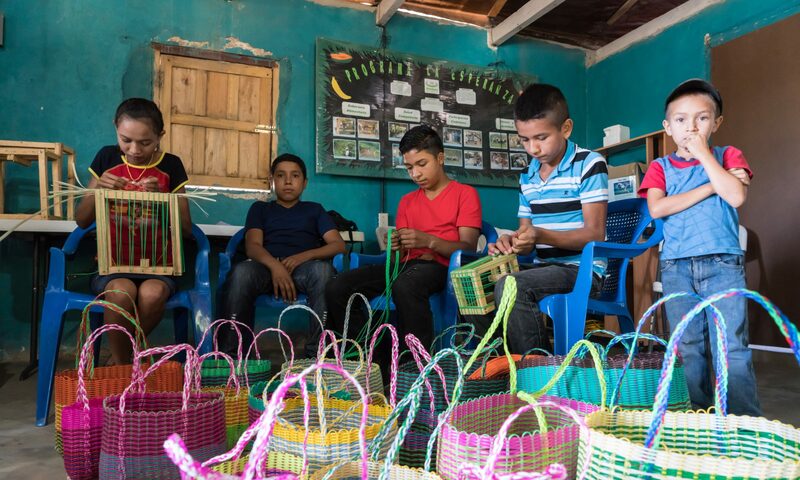 All are working well, and although the welcomes were not as effervescent as the one in Bhandaritol, they were all very warm, made by people very appreciative and thankful of the work we do. The one GAC funded system that we could not get too because of extremely muddy and dangerous roads was in Lahachhewar. We had to travel 8 hours by road, and then walk for 5 hours to get to this village. After 6 hours and some very slippery slopes, we decided to turn back – 12 hours of driving to no avail. Luckily, we have photos taken by Suresh, and we will try again on the next visit. Suresh, Govinder and Mahesh of TSS continue to amaze me with their commitment to the people of Ramechhap, and the results they are able to achieve. I come home once again enthused by the success of the concept of World Neighbours Canada – motivating and teaching people to plan, make and manage their own change, one community at a time.